Eleven million of our immigrant family members, co-workers, friends, and neighbors remain trapped in the shadows of our society because our immigration system is badly broken. Several years ago, the Obama administration initiated the Deferred Action for Childhood Arrivals (DACA) program to provide undocumented young people temporary relief from deportation, and the ability to go to school or work here in the only country they have ever known. The Trump administration’s termination of DACA last week, and their now use of immigrant young people as a bargaining chip with Congress for the so-called border wall, must be understood for what it is: yet another extremist attack against immigrants and people of color that exploits and fuels racism, bigotry, and xenophobia. Like the rest of us, the approximately 800,000 immigrant youth who have participated in DACA deserve to pursue their lives with dignity and respect. All efforts must be made to protect their safety and well-being as well as those of all undocumented and documented immigrants. As we speak, at least 15 State Attorney Generals have begun legal action to protect DACA — and CAA supports those actions. In California, home to nearly half a million undocumented Asian Americans, the State legislature and Governor are working to strengthen protections and resources for immigrants, including direct legal and educational aid for DACA recipients. Ultimately, the White House and Congress must end decades of efforts to divide Americans against one another. We must keep all families together and protect all civil rights by ending deportations and visa backlogs, and creating realistic pathways to citizenship. All immigrants — regardless of legal status — are a vital and inseparable part of our communities and families. If we fail to honor their humanity, we fail to honor our own. At Chinese for Affirmative Action, we are mobilizing on several fronts. 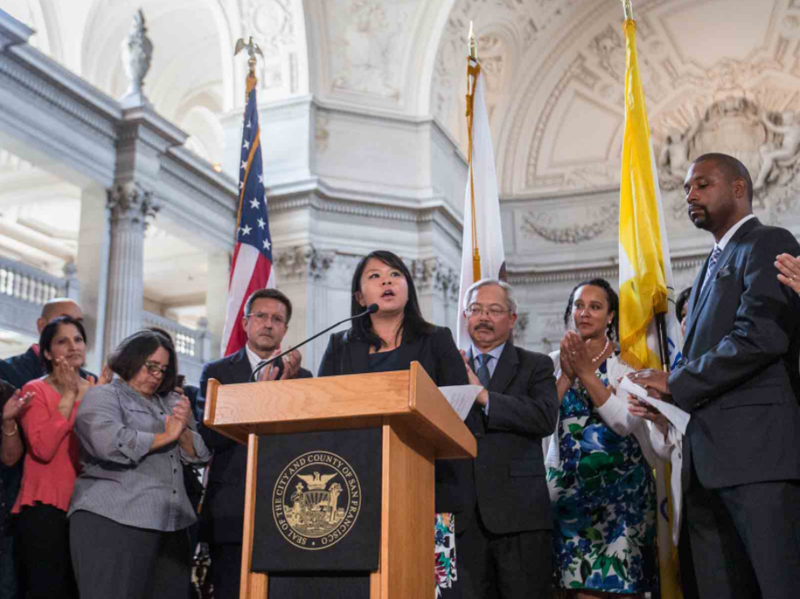 In response to the DACA decision, CAA staff have organized and spoken at several press conferences and rallies throughout the City, and we continue to provide critical “Know Your Rights” information to help educate and be a voice for Chinese immigrant communities. We are partnering with ASPIRE, a San Francisco-based pan-Asian, undocumented immigrant-led advocacy group to craft and distribute messaging resources to avoid pitting immigrant groups against one another. We are helping to staff a 24-hour help hotline to report ICE activity, and providing free immigration screenings and a variety of immigration-related community workshops. And we are leading a broad community outreach effort involving partnerships with educational institutions, faith-based organizations, and community groups to share key resources for concerned and impacted individuals, employers, and community members. Thank you for your support and vigilance in these turbulent times. P.S. Additionally, here is the Immigrant Legal Resource Center’s fact sheet regarding what you need to know about the end of DACA.